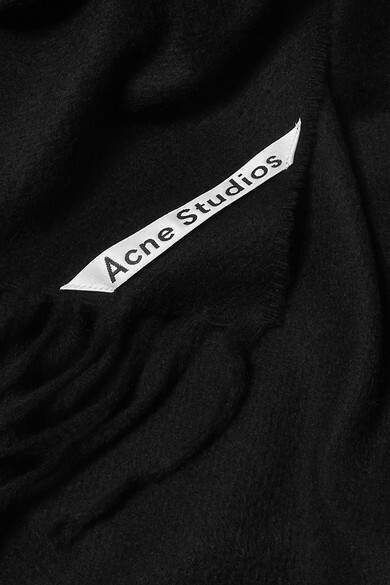 Fans of Acne Studios' 'Canada' scarf will love this wider version during the cooler months because it'll be so cozy to wrap up in. It's spun from soft black cashmere and has tactile fringed ends. 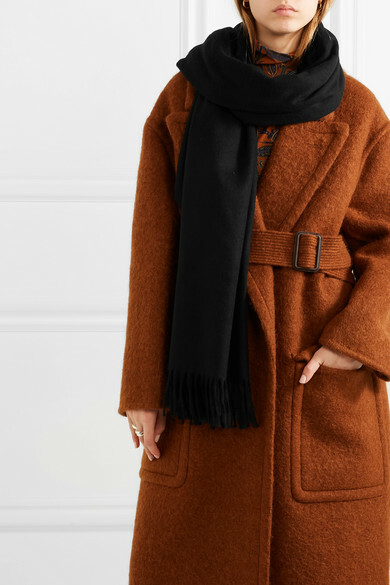 Take cues from the Scandi set by wearing yours with a teddy coat or neutral suit. Shown here with: Goldsign Top, Goldsign Jeans, Loewe Coat, Leigh Miller Earrings.